Edward Ince's mother was Caroline Clara Cutler while his father, also named Edward Ince, was an Inland Revenue officer. Edward, his parents' only son, was born in Amblecote which is west of Birmingham. He was brought up in Wales, attending school first in the west coastal Welsh town of Criccieth, then the county school at Portmadoc, a few miles along the coast. Before his secondary education was complete, his family moved to Perth in Scotland where he completed his schooling at Perth Academy. He played a prominent part in the communal life of the university as senior president of the students' representative council and convener of the international academic committee. Ince graduated in 1913 with First Class Honours in mathematics and was awarded a scholarship to remain at Edinburgh University to undertake research. World War I broke out in 1914 and Ince was called up but failed the medical, so was rejected for military service. In 1915 he went to Cambridge to continue research. He was a Smith's prizeman in 1917 but left to undertake war service. When the war ended in 1918 Ince was released from the war work he was undertaking and was appointed as a lecturer in mathematics at the University of Leeds. In 1920 he moved to Liverpool where again he held a lectureship in mathematics. While holding this appointment he married Phyllis Fry in 1924; they had two daughters. In 1926 Ince left Liverpool to take up the chair of pure mathematics at the Egyptian University in Cairo. There he built up a strong department but in 1931 he decided to return to Britain. There were two main reasons why he chose to return, first that he felt that he wanted his daughters educated in Britain, and second that he found the climate was having an adverse effect on his health. After teaching at Edinburgh University during the academic year 1931-32, he then was appointed to Imperial College, London, where he taught until 1935 when he was appointed as head of the department of Technical Mathematics at Edinburgh. By the use of convergent infinite determinants and continued fractions, with asymptotic formulae for large values, he succeeded in making computations practicable and after eight years' devotion to this task he published in 1932 tables of eigenvalues for Mathieu's equation, and zeros of Mathieu functions. These tables were useful not only in the problems originally envisaged but also in more recent investigations such as quantum-mechanical problems leading to Mathieu's equation. ... gave a modern presentation of the theory, using methods from algebra as well as analysis. ... it immediately became a classic and remained in print for many years. The importance of the work can be realised from the fact that Dover Publications, New York republished it in 1944. The object of this book is to provide in a compact form an account of the methods of integrating explicitly the commoner types of ordinary differential equation, and in particular those equations that arise from problems in geometry and applied mathematics. It takes the existence of solutions for granted ... With this qualification, it will be found to contain all the material needed by students in our Universities who do not specialize in differential equations, as well as by students of mathematical physics and technology. The Second Edition, through the untimely death of the author in March 1941, has not had the advantage of being revised by him. Arthur Erdélyi had made some revisions to the text for this second edition. In 1965 a German translation of the second English edition was published as Die Integration gewöhnlicher Differentialgleichungen by the Bibliographisches Institut, Mannheim. ... is similar to that previously used by [Ince] to prove the corresponding theorem for Mathieu functions. The nucleus of an integral equation for one of the periodic Lamé functions is expanded in series of products of the characteristic functions .... Functions with periods exceeding 2π are finally considered, particularly those of period 4. Such functions can exist for all values of n and are expressible in a finite form when 2n is an odd integer. These finite forms have been considered by Halphen and others, but the results given here are simpler and more significant than those hitherto discovered. 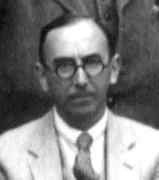 One further paper, Simultaneous linear partial differential equations of the second order, was edited by Erdélyi after Ince's death and published in the Proceedings of the Royal Society of Edinburgh in 1942. Ince was honoured with election to the Royal Society of Edinburgh on 5 March 1923. The Society awarded him their Makdougall Brisbane prize, but sadly he died before he was able to receive the award.